James Averdieck lived the dream. As founder and Managing Director of Gü Chocolate Puds - the fastest growing food company in UK and a brand credited with revolutionising the quality of desserts – he is an entrepreneur in the truest sense of the word. He built the brand with passion, and from seed capital of only £65k created a business which was sold 6 years later for £32 million. James is compelling and unique as a keynote speaker, as he delivers the message that at the heart of entrepreneurialism lies the idea, the journey, not the exit strategy, and not the final sale price. In the process of building his brand, James realised his chocolate dream of selling soufflés to the French and chocolate to the Belgians. Since he sold Gu, his regret and the acceptance of his loss, have instilled in him an endearing honesty which makes him an enormously popular business speaker. Since he sold his beloved Gu, James has become aware that the money, the power, the pleasure- seeking, the cars and the kudos, will never match the thrill of running and building the business. He is living proof that it’s not about the money. James, the entrepreneur, conveys a strong message about the value of loving your business. He speaks about true entrepreneurship; how to simplify ideas with an innovative approach, and how to make your dreams achievable. He shares the ups and downs of running a business with a raw and honest appeal. His enormous success lends him credibility, and his endearing transparency, combine to create a charismatic, intelligent and thoughtful keynote speaker, from whom important lessons can be learned. 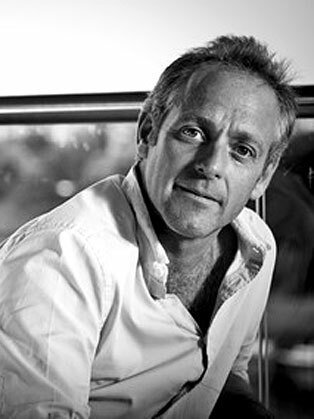 Born in Yorkshire in 1965, James was educated at Uppingham School before studying Economics at Durham University. After university, James joined the graduate programme at strategy consultants Arthur D. Little, where he learnt about the key drivers to a successful business, but wanted to get closer to the coal-face. James spent 9 years in the Food industry working for Safeway and St Ivel and learnt about Sales and Marketing and running businesses. With St Ivel he moved to Belgium and became a convert to Belgian gastronomy and, as he says, ‘went native on the chocolate front’. It was in Brussels that the seed was sown for his UK chocolate venture. James saw the opportunity of marrying high quality chocolate patisserie with efficient UK supermarket distribution. James realised that UK consumers were demanding more quality and moving away from mass-produced ‘branded’ products. He was confident he could take on the big players.